The Vassar Red Sand Project will be installing an interactive exhibition in the Collaboratory tomorrow and Saturday, April 14-15. The trailer will contain various displays including statistics, causes, warning signs, effects, personal stories, photographs, and information about what you can do to help. This weekend, the exhibition will be open 10am-5pm each day, and will remain open every Friday and Saturday from 12-5pm until April 26th. The Poughkeepsie Journal published an article about this project yesterday. Please spread the word about this important initiative, and be sure to stop by the Collaboratory sometime this month! More information can be found at the Facebook event page. 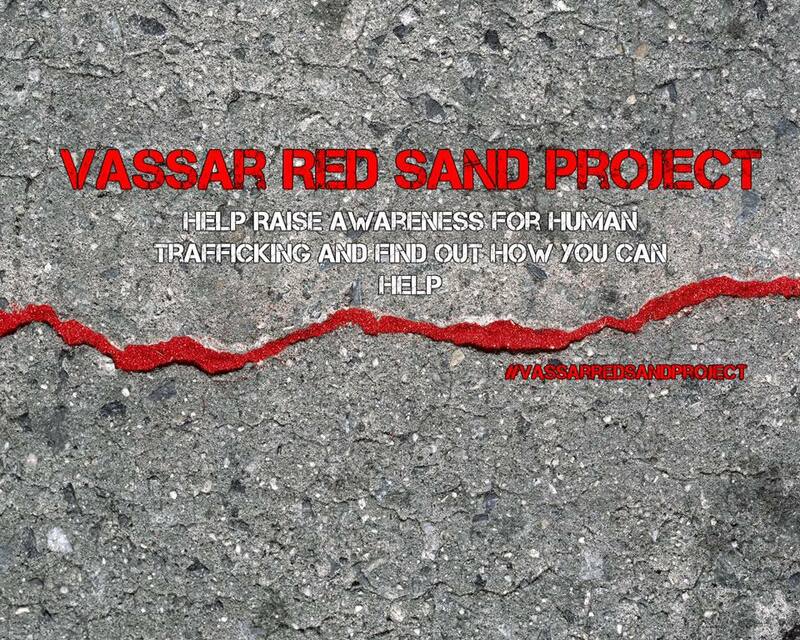 The Vassar Red Sand Project is an interactive art project meant to raise awareness for human trafficking. By syphoning red sand into sidewalk cracks across campus, we’re encouraging students to question their surroundings. The red sand symbolizes the victims who fall through the cracks of society- thus educating on the nature of human trafficking while engaging with the community. This project is done in collaboration with CAAD, the Vassar Sculpture Department, Unframed, Vassar Greens, UNICEF, Red Sand Project, and Abolitionists Unchained. ← “You’re the Expert” Vassar Episode Now Online!